I love to cook, bake and craft with my kids. They are always anxious and willing to help me with a new recipe or project. Today they made this wonderful Munchies Mix from the TIME for Kids: Kids in the Kitchen Cookbook. I was lucky enough to receive it in the mail to review for you. 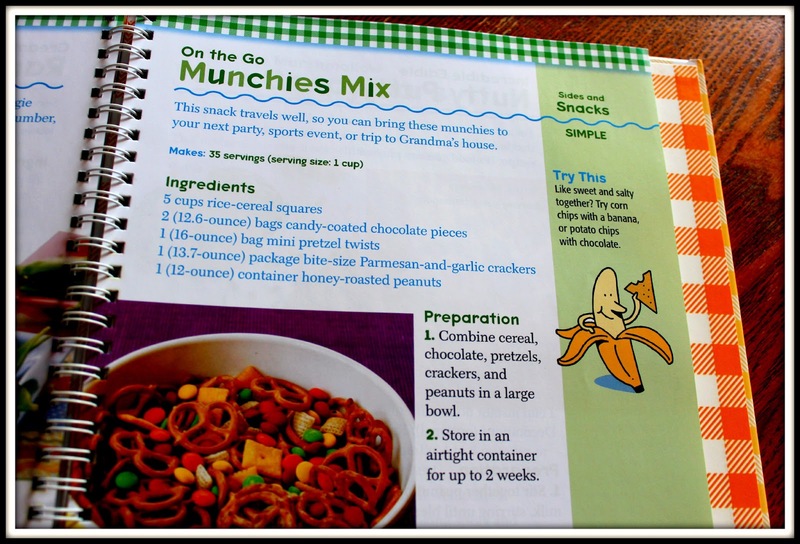 The book is full of terrific and easy recipes for your kids to do on their own, or with some adult help. It contains many different sections including breakfast, lunch, sides and snacks, dinner, and my favorite...dessert. My girls had so much fun creating this mix. We are planning to take it on a road trip later this week. Something to look forward to!! The recipe is very simple. You may even have all of the ingredients in your pantry right now. The only alteration that we made was adding mini marshmallows in place of the peanuts. And the Parmesan crackers gave the whole mix a light salty spice that we love. 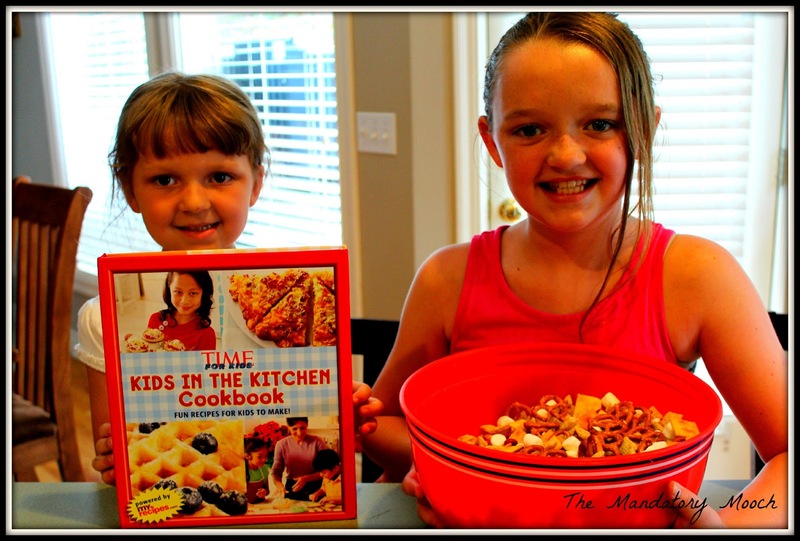 After seeing how much fun my girls had with this cookbook, I recommend you add it to your own collection. 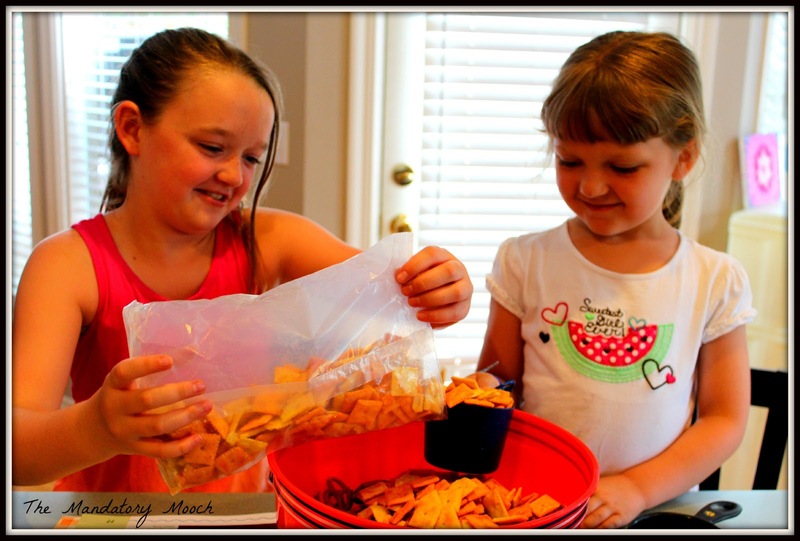 Create some memories and fun food with your own kids!! My friend, Carrie, over at Quite Carried Away also reviewed this cookbook. Click HERE to see her post. Thanks, Winnie. Gotta love summer!! I'm going to use this idea with my kids! One of my (many) weaknesses as a mom is that I can't stand messes, so I'm not crazy about the boys helping me in the kitchen. 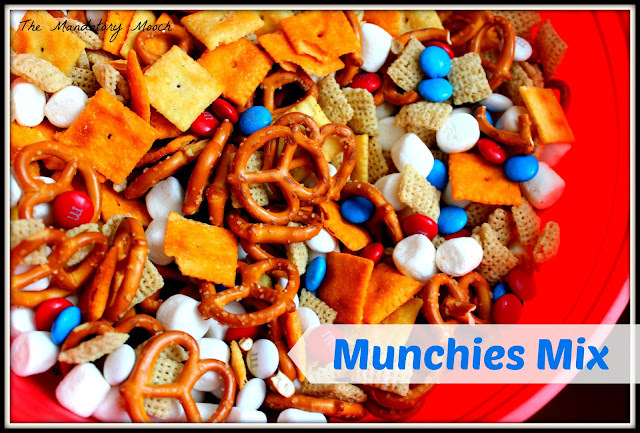 Pouring dry ingredients together to make a snack mix would let them get creative and make their own dish without getting, for instance, flour and cake batter all over the kitchen! So funny, Andi!! I completely agree about the messes. You just get one cleaned up and turn around to another. Love this.. I so love sweet and salty mixes and love that the kids can help!! Pinned! !